Is your bedroom so small there is barely any space left for a standard bedside table? 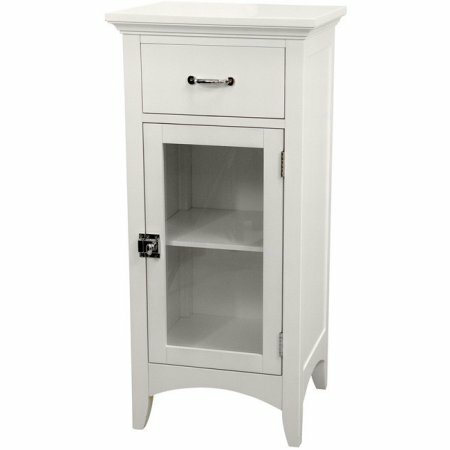 Looking for space saving furniture that works as a stylish sub for a traditional bedside table? 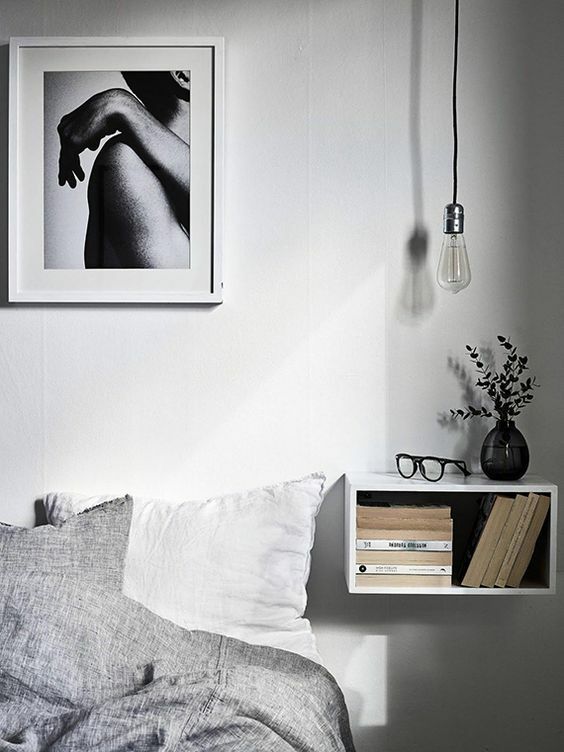 Bedside tables may be a bedroom staple but squeezing one in a small room is not always the best way to style a space. It could make a tiny bedroom look cluttered. 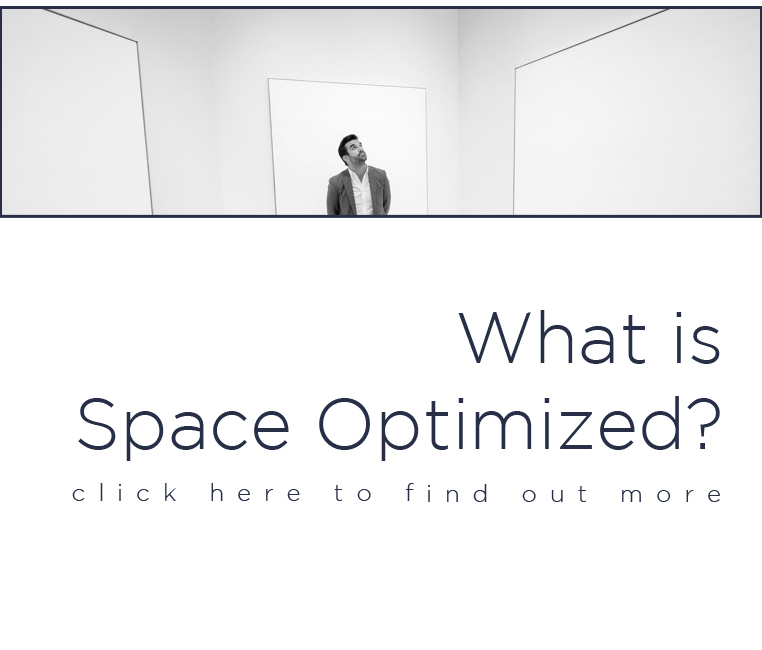 Imagine starting your day tripping all over things because of a too-packed bedroom! A tree stump side table adds texture to a bedroom while freeing more room for your bedroom staples. It’s stylish, one-of-a-kind, and it adds a rustic vibe to the boudoir. 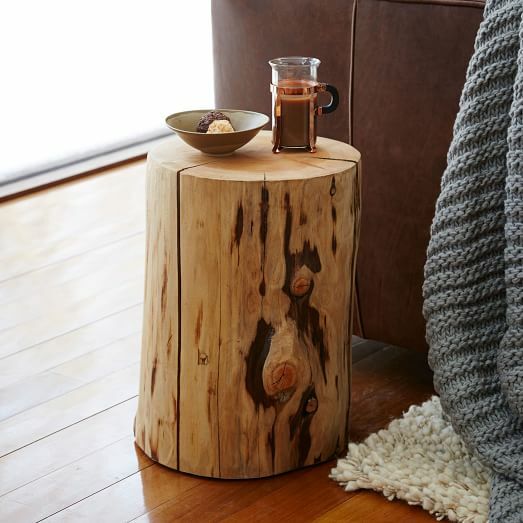 West Elm’s natural tree stump is made from a fallen cypress tree. It’s solidly built and its seamless design is perfect for classic and contemporary homes alike. Easily our favorite space-saving furniture, a wall-mount shelf is compact, stylish, and multi-functional. It’s definitely more versatile than a standard nightstand. 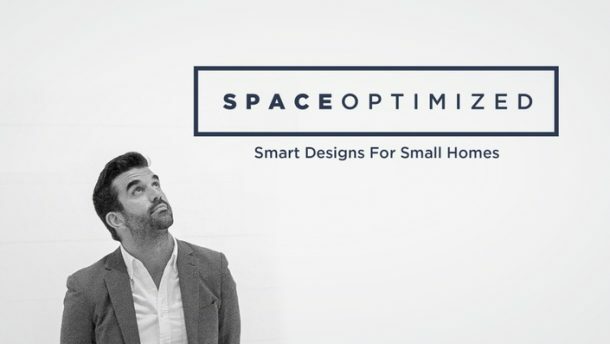 And if you’re frustrated by the lack of free space, you’ll always find a mountable shelf that has the same exact dimensions that you need. Best of all, even the tiniest wall shelf is able to keep your essentials organized and on hand. It’s a bedside table made better. 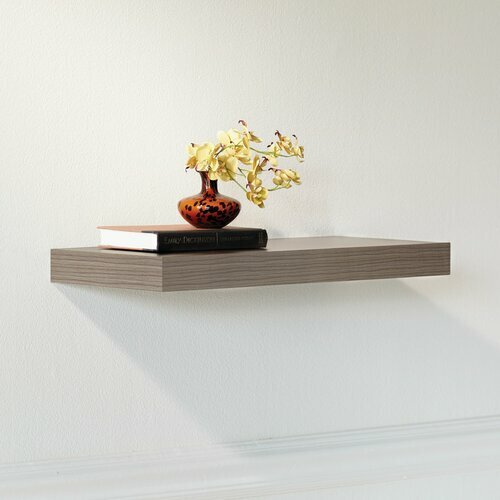 Wayfair.com has all sorts of floating shelves in different sizes to choose from. You can get a square floating shelf as seen above or a simple ledge shelf like the Chicago, pictured above. A magazine holder as a sub for bedside tables? Why not! Although a magazine holder lacks a flat surface, it does a great job of storing books, magazines, and small articles of clothing in small spaces. You can always use a pretty pouch or a makeup bag to store small items such as a lip balm, moisturizer, eye drops, etc. then chuck the bag in the magazine holder. 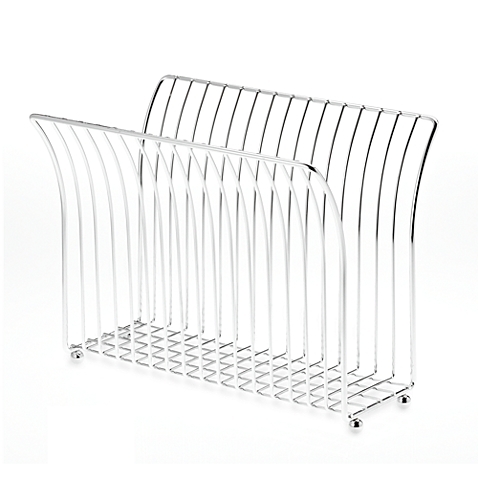 Bed Bath & Beyond’s Taymor® magazine rack is not only affordable, slim and stylish, it’s also an attractive storage solution that’ll suit any homes, large or small. Kitchen storage cabinets come in different sizes so if you’re looking for a space saving furniture, search for teeny tiny ones with inner shelves. A single door or 10 to 13-inch kitchen storage cabinet makes a killer solution for a small bedroom! A stool makes another space saving alternative to a classic nightstand. Depending on the height of the stool, this space-saving furniture works perfectly when set beside a low profile bed. You can use the stool to keep your bedside essentials within reach sans the bulk. Plus, it could cleared off and brought to the living room to serve as extra seating when you entertain! cb2.com offers a treasure trove of stools in designs that range from minimalist to ostentatious. 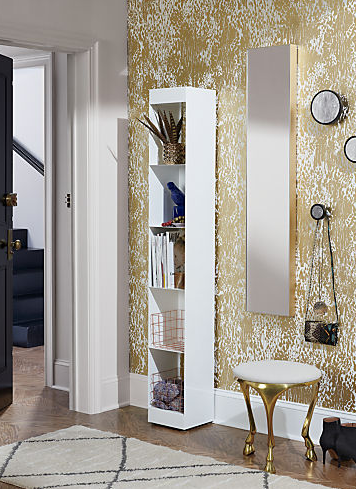 The Gallop white stool is a fancy gold stool that adds a touch of elegance to any space, including the bedroom. A side table is one of the best alternatives to bulky bedside tables because it’s compact, stylish, and it gets the job done. This space-saving furniture comes in an array of designs and styles to choose from. West Elm has loads of minimalist side tables that work well for most beds. The best thing about using a side table as a bedside table? The side table is more durable than an ordinary nightstand. You can put anything heavy on it without fear of breaking the table. Who knew a plant stand could pull double duty as a bedside table? It’s compact with a bit of flat surface for your essentials. 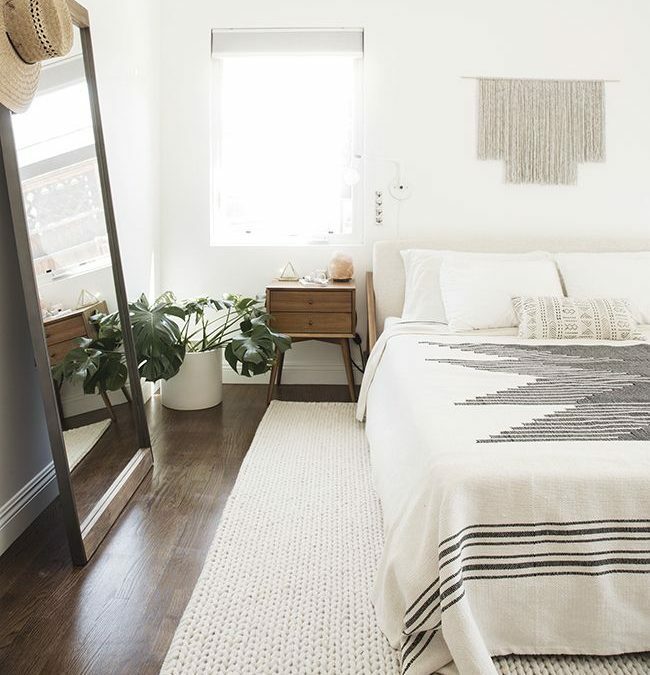 A plant stand is a perfect solution for bedrooms with almost zero space to spare for a nightstand. Ikea has a nice selection of pretty plant stands. 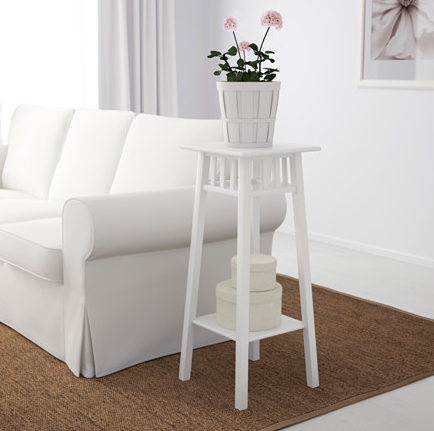 Our favorite is the Lantliv, a stylish plant stand crafted from a mix of solid birch and fiberboard. The design is versatile and the size is perfect for tight corners. You can get one or two of these and place them on either side of the bed for a matchy-matchy look. A coat rack is an unusual alternative to a bedside table but it somehow works! 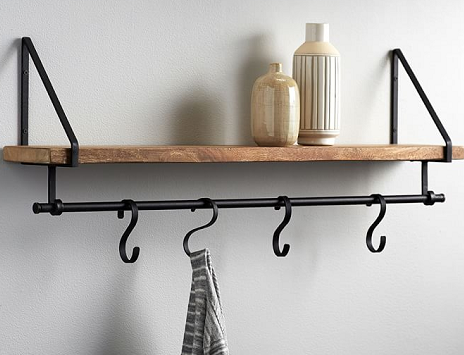 When you think about it, a coat rack is slim enough to fit a small space but offers enough room to keep your things neat and tidy. You can also use the hooks for different things other than hanging your clothes. Pottery Barn is a haven of stylish coat racks in every conceivable shape and size. The Lucy shelf with hook is a great choice because of the slim profile and the multipurpose shelf made from whitewashed wood. Any type of compact garden statue with a flat surface could work as an apartment-friendly nightstand. Because this decor is made for outdoor use, a garden statue will definitely stand the test of time. The height of a garden statue is also perfect for platform beds. Also, the extra heft means your things won’t topple over. Target has an impressive selection of outdoor decors, including garden statues that double as tabletop and nightstands. 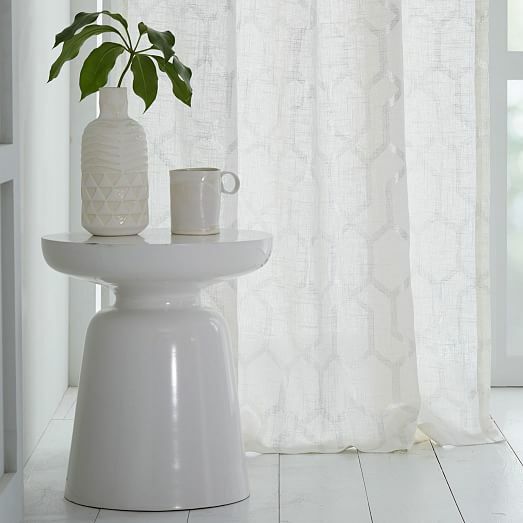 The Safavieh Lacey garden stool is a lovely outdoor décor that makes a stylish sub for a traditional bedside table. The humble tray table has a roomy flat surface yet it’s compact enough to squeeze into small spaces. The height is also perfect for making everything accessible when you’re lying in bed. Tray tables come in different styles and sizes so there’s something for everyone! 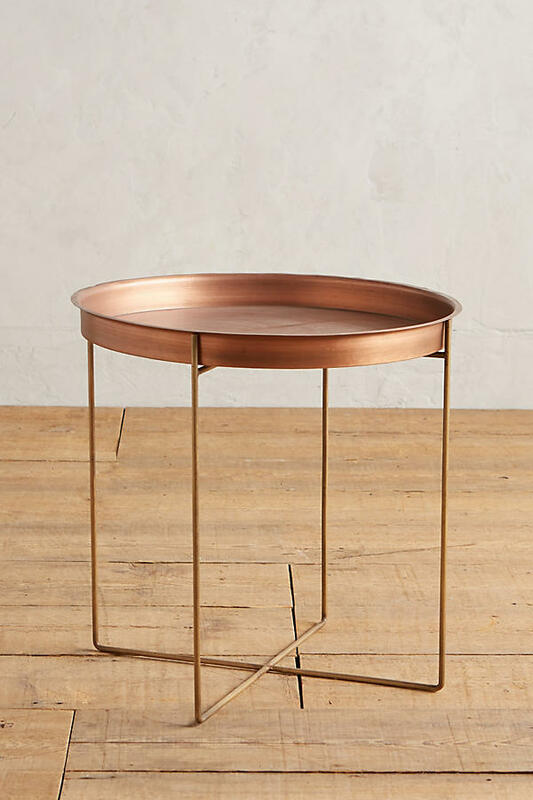 Anthropologie’s Kapona tray table is not only trendy with its shimmery rose gold finish; it’s also pretty skinny with a minimalist design. It looks fabulous when set bedside!